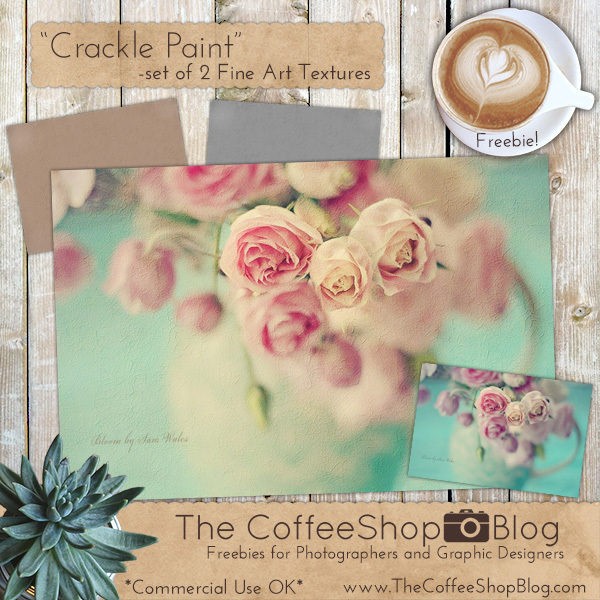 The CoffeeShop Blog: CoffeeShop "Crackle Paint" Fine Art Texture Set! CoffeeShop "Crackle Paint" Fine Art Texture Set! Today I have a new Fine Art Texture set called "Crackle". 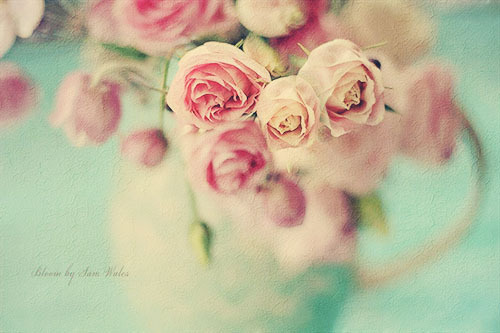 These textures look really nice on still life images, but you can also use them on portraits or landscapes. 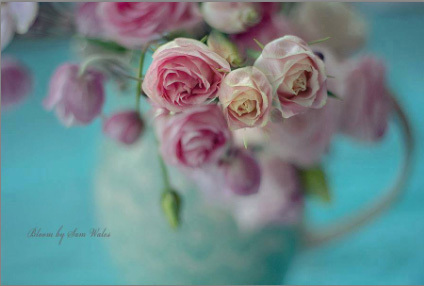 I used a gorgeous image by Bloom in my example today. This is the final edit. I started with this already perfect image. I ran my "Secret Garden" action on the image and changed "Sweet Honey" to 70%, "Brighten" to 60%, and turned off "Add Contrast". Then I added the brown "Fine Art Crackle" texture twice on top, one layer in Overlay (100%), the other in Soft Light (38%). Download the CoffeeShop "Crackle" Fine Art Texture Set. You can also download it here. Another great set of textures. Thanks Rita!